Free Bassist Andy Fraser R.I.P. Andy Fraser, who was the bassist for the rock band Free, died on March 16 2015 at the age of 62. He had been diagnosed with AIDS and Kaposi's Sarcoma in the past. Andy Fraser was born on July 3 1952 in Paddington, London. He was only five years old when he began playing piano. He was twelve years old when he began playing guitar. It was while he was attending Hammersmith F.E. College that a fellow student, Sappho Korner, introduced him to her father, legendary British blues musician Alex Korner. Alex Korner was impressed with Andy Fraser enough that he introduced him to fellow blues musician John Mayall. For a time Andy Fraser played with John Mayall's Bluesbreakers. Not much later Alex Korner introduced Andy Fraser to vocalist Paul Rodgers, guitarist Paul Kossoff, and drummer Simon Kirke. Together they formed the band Free. Free released two albums in 1969, Tons of Sobs and Free. They would not see a good deal of success until their third album, Fire and Water, in 1970. The album contained the hit song "All Right Now", which went to #2 on the United Kingdom's single charts and #4 on the Billboard Hot 100 in the United States. The song was co-written by Andy Fraser with Paul Rodgers. Free would have no more hit singles in the United States following "All Right Now", although they had three more hits in the United Kingdom ("My Brother Jake", "A Little Bit of Love", and "Wishing Well"). Free released three more albums (Highway in 1970, Free at Last in 1972, and Heartbreaker in 1973) before breaking up. Following the break up of Free, Andy Fraser formed the band Sharks, but only remained with them for their first album. He released the solo albums Healing Hands in 1974 and In Your Eyes, in 1975. He had success as a songwriter and wrote Robert Palmer's first hit in the United States, "Every Kinda People". His last solo album, Naked...and finally free was released in 2005. If you are a fan of Turner Classic Movies, you probably already know that long time Turner Classic Movies host Robert Osborne will not be able to attend this year's Turner Classic Movies Classic Film Festival. According to a letter sent to TCMFF attendees, Mr. Osborne has a minor health procedure that he had been postponing and had intended to take care of immediately after the film festival was over. His physician informed him that they should do it now so that "..later you can get back to introducing movies on TCM." As a result Mr. Osborne will not be able to attend this year's Turner Classic Movies Classic Film Festival. I think I can speak for everyone when I say that while it is disappointing that Mr. Osborne won't be able to attend this year's festival, we would much rather he see to his health so that he can continue hosting TCM for many years to come, not to mention attend many more Turner Classic Movies Classic Film Festivals. 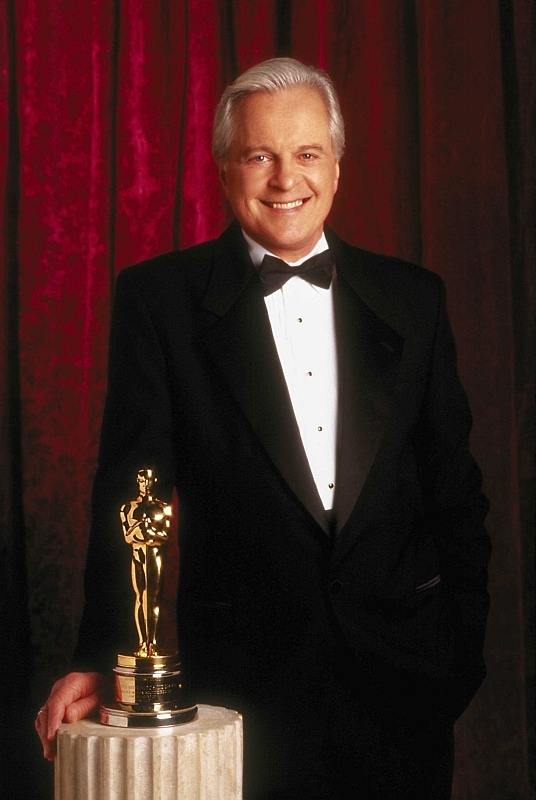 I believe it is largely because of Robert Osborne's enthusiasm for classic films and his respect for his fellow fans that Turner Classic Movies has been the success it has over the years. Between his seemingly endless knowledge of classic film, his love for the movies themselves, his innate charm, and his affection for his fellow film buffs, I can't see how anyone can not love Mr. Osborne. I am sure them I am not alone then when I say, "Get well soon, Robert Osborne!" Being neither Irish nor an engineer I have never celebrated St. Patrick's Day. That having been said, I know that many of you do. For those who, then, here for the first and perhaps only time is A Shroud of Thoughts' edition of St. Patrick's Day pin ups. 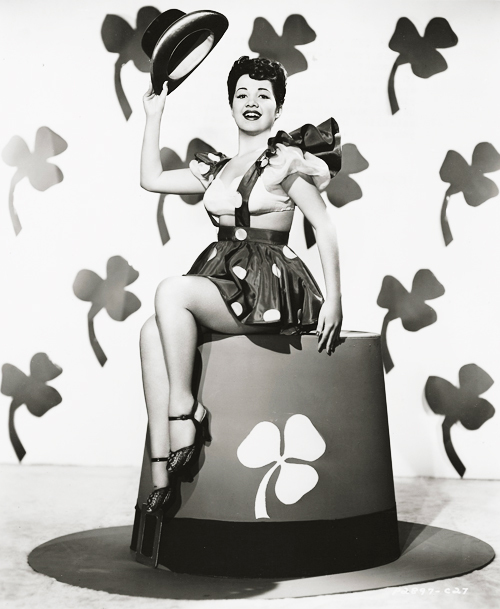 By the way, I am aware that many of these pinups are not Irish, but I don't think anyone will object! 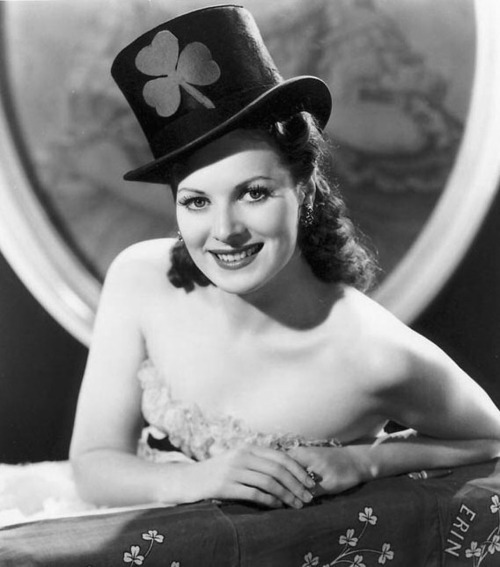 First up is perhaps the most famous Irish actress of all time, the lovely Maureen O'Hara. 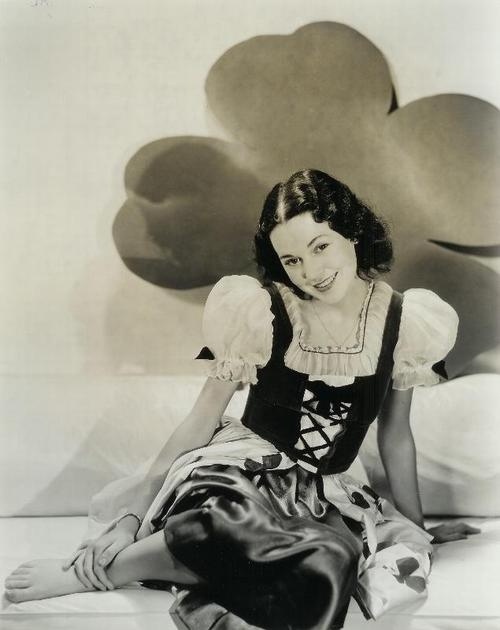 Next is another famous Irish actress, as well as another Maureen, Maureen O'Sullivan. Here is Lucille Ball (Lucy was mostly English and Scottish in descent, although she had some Irish in her as well). 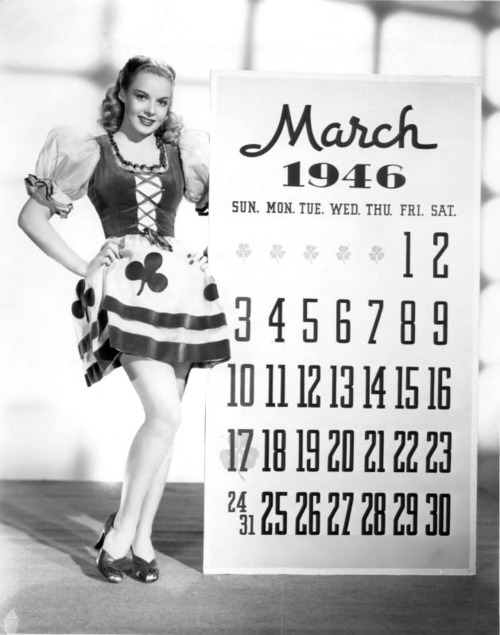 Angela Greene with a calendar for March 1946. And last but not least, here's Carole Landis.